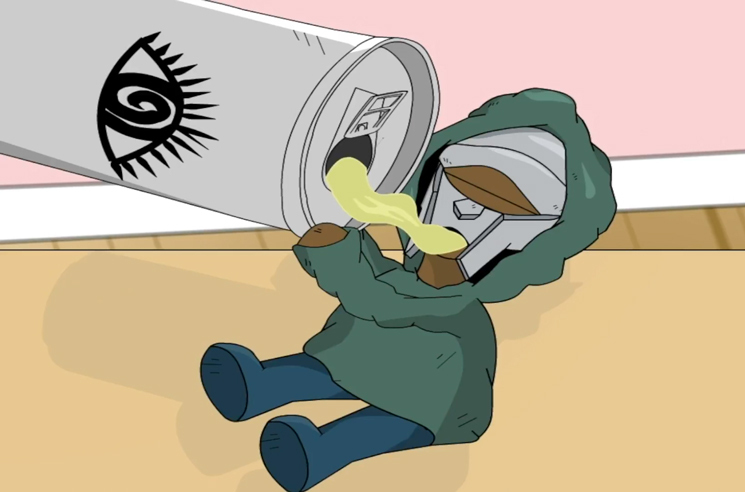 MF DOOM Shares Video for "One Beer"
Today marks the 14th anniversary of MF DOOM's acclaimed 2004 LP Mm.. Food, and to mark the occasion, the metal-faced MC has shared a new video for "One Beer." Directed, animated and edited by Distortedd (a.k.a Anhia Zaira Santana), the clip finds a tiny cyclops DOOM in a fierce battle for the last can of suds in the kitchen, even duking it out with a cyclops Quasimoto as a humorous tribute to friend and collaborator Madlib. You can watch the video in the player below. DOOM and Distortedd have also put the clip's protagonist and his precious cargo on a limited T-shirt, which you can find here.